A luxury resort surrounded by topical jungle and overlooking a glorious white sand beach with a range of water and land-based activities. Florblanca is open year round. An exclusive and stylish beach-front resort offering refined accommodation each with an opulent open air bathroom, two-person hammock for romantic relaxation, and an outdoor lounge where you can listen to bird song and waves breaking on the shore. This is a superb setting with facilities to match: relish subtle sushi creations and tasty tacos in Nectar Restaurant washed down by a fruit smoothie or cocktail, perfect your tan by the pool, indulge your senses with a visit to Spa Bambu and enjoy the benefits of a yoga session in the open air studio. You’ll have a wealth of activities to choose between, too, from surfing – with instruction for all levels of experience, to horse riding, from rainforest hikes to the thrills of zip lining among the treetops. And there are some special touches: romantics will love dining by candlelight in the private gazebo, fitness conscious guests can take advantage of energising workouts by the beach, water babies will spend hours swimming and snorkelling, and everyone will adore the sensational sunsets over the ocean. Florblance offers a beguiling blend of relaxation and activity. Indulge yourself in the luxury of your villa, savour fine cuisine served in a relaxed atmosphere by the beach, refresh mind, body and soul with a spa treatment, yoga or pilates class, and listen to birds and monkeys in the tropical gardens. Throw caution to the wind as you surf the ocean waves, take to the saddle for a horse ride along the beach, visit local nature reserves for views of some of Costa Rica’s rich and varied wildlife, and venture into the jungle and swim beneath waterfalls – there are just some of the activities on offer at Florblanca. The gardens are home to macaws and pretty motmots, playful howler and white-faced capuchin monkeys, and colourful iguanas and lizards. 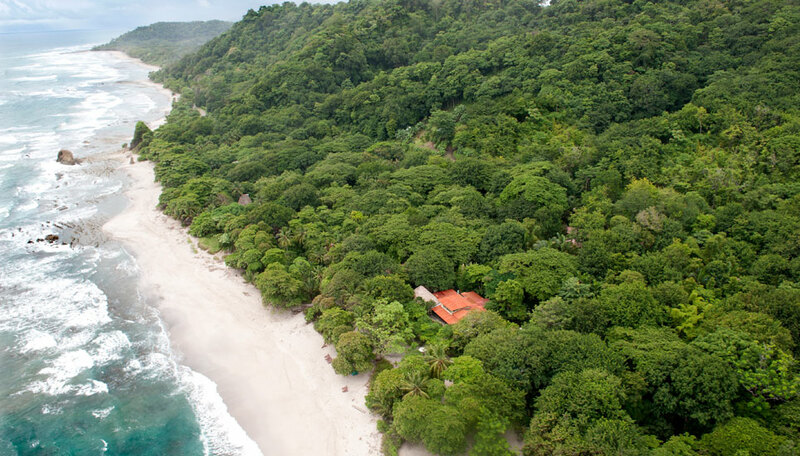 Nearby Cabo Blanco Nature Reserve is a haven for seabirds such as pelicans, gulls, terns and frigatebirds, as well as magpie jays, kingfishers, trogons, parrots and parakeets, and its forests shelter monkeys, armadillos, anteaters, raccoons, coatis and wild cats. There are 10 villas. Of these, villa 1 is a deluxe 1-bedroom villa, villa 2 is a deluxe 2-bedroom villa, villas 3,4,6,7 & 8 are superior 1-bedroom villas, and villas 5 & 10 are superior 2-bedroom villas. The main difference between deluxe and superior is that deluxe villas have sea views. 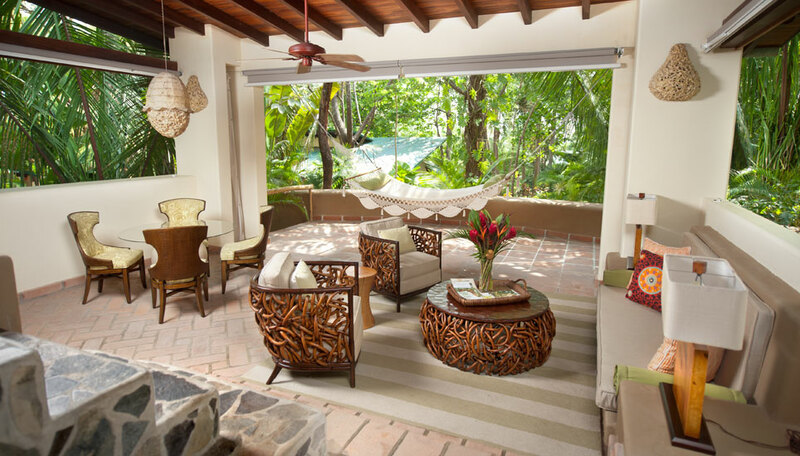 All villas have an open air living area with plenty of seating a 2-person hammock, and an outdoor bathroom with a stone bath, shower and hand basin. All bedrooms are air conditioned. Honeymoon House (villa 11) is at the far end of the resort, suitably secluded for those desiring extra privacy. 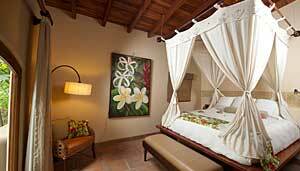 The bedroom, on the second floor, has a king size bed and overlooks the sea and has sliding doors that open on to a private deck. Also on this floor is an en-suite bathroom with a Jacuzzi. Downstairs there is an open plan living area which also opens onto the beach and has seating and a large hammock. On the ground floor there is a dressing room and shower. 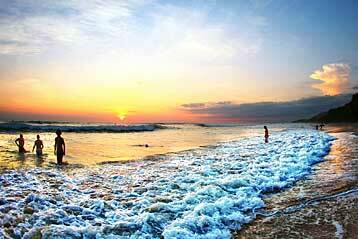 Surf House has 3 air conditioned bedrooms, all with doors that open on to the beach. The largest bedroom has a sitting area and fridge. There is 1 bathroom with a sunken bathtub and a shower. 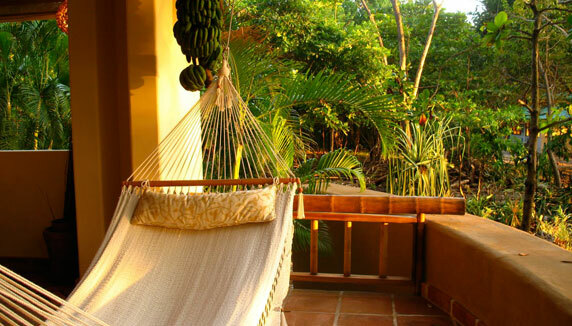 The house has a private outdoor space with hammocks and beach chairs overlooking the ocean. Surf House sleeps up to 6 people and can be used in conjunction with Villa 1, which is next door. All rooms have a minibar stocked with drinks and snacks, safe and free Wi-Fi. Bathrobes are supplied for all guests. There is Wi-Fi throughout the hotel, and limited mobile phone coverage.